Now this is arguably the most important feature of the Apple iPad 2. Just as we expected the iPad 2 delivers great performance in terms of both speed and usability. Browsing the web on the new Apple tablet is a really nice experience, with the great loading speeds (better than the first iPad), fluid touch control and gesture support (pinch zooming also works like a charm). Downloads are also possible so you can easily save an image you are looking at for opening it latter on your iPad. The Apple iPad 2 lacks Flash support of any kind, but we don’t think some has expected it. It’s the Apple way, you know – HTML5 only. The built-in Wi-Fi antenna is as capable as the first iPad’s and its range is almost as good as those on netbooks or even, the MacBook Air (2010). We didn’t experience any kind of problems with it. We would prefer the Wi-Fi+3G version of the iPad 2 as it would prove a lot more versatile than the Wi-Fi only. The 3G variant not only has a true GPS receiver but the data connection allows for Assisted-GPS functionality and cellular base station triangulation for instant location services. Let’s be honest – browsing, listening to music, checking emails, etc. won’t let you feel the doubled processing power. And this is where the games come in - there you can feel (and even see) the difference. The iPad 2 comes with a 1GHz dual-core processor and a lot faster GPU than the first-gen iPad. Just in time as the iOS gaming reached a completely new level last year. 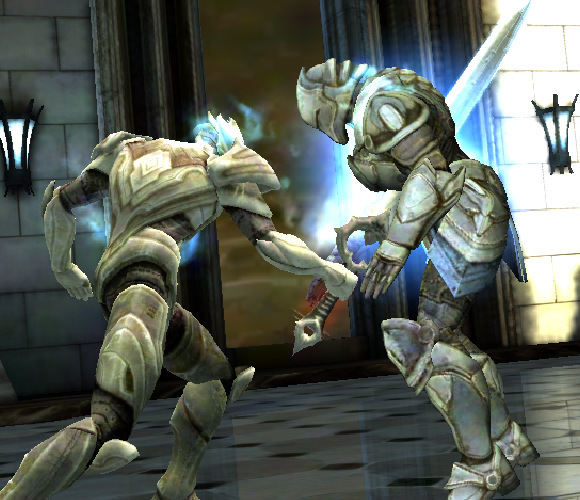 Now we have proper 3D graphics games like Infinity Blade, Dead Space, Rage, Real Racing, etc. We preloaded both iPads with absolutely the same content, enabled the multi-touch gestures, closed all active apps from the multi-tasking bar and started tapping some icons. Quite expectedly, the iPad 2 loads much faster than its predecessor almost everything we ran. It has a dual-core processor, so no surprises here. And don't get the wrong idea - we've timed each of the devices separately so it doesn't matter if the actions aren't performed simultaneously. Opening applications is 50% faster on the iPad 2. Returning on the homescreen is generally quicker as well. The major speed difference though is witnessed when opening the book store app. The iPad 2 loads it 277% faster than it's older brother and the actual books open three times quicker, as well. Games in general open fast, too. Angry Birds, for example, sees 116% improvement, while Epic Citadel, which runs on the Unreal engine gets 96% faster over the iPad. Browsing the web is not what you'd call sluggish. Compared to its predecessor the iPad 2 loads websites 48% snappier. But it’s quite a different situation when launching already ran and paused apps. Whatever iPad you use, the performance is equal. There is no matter which method of switching between apps you prefer (scrolling, homescreen or multi-tasking bar), you will get to the app immediately. There was no lag whatsoever. I am not sure if Apple failed to optimize this for the iPad 2 or they’ve already done a magical job the first time, but hey – it works like a charm and that’s enough. The less RAM (256MB) on the first iPad affects the multi-tasking work a lot though. In case you reach the limit of paused apps they all are automatically cleaned and will restart when you go back to them. In any other case the app switcher works as described above. As far as the OS start/shutdown times are concerned the iPad 2 outran its older fella with almost 4 seconds when powering on and below a second in powering off. 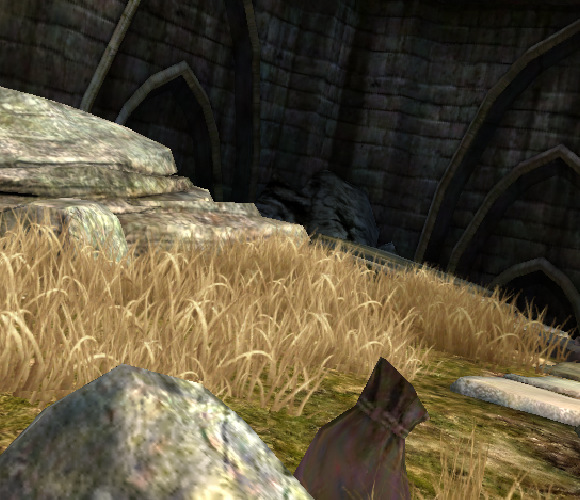 A few games have already been updated with improved graphics to make best use of the iPad 2 processing power. 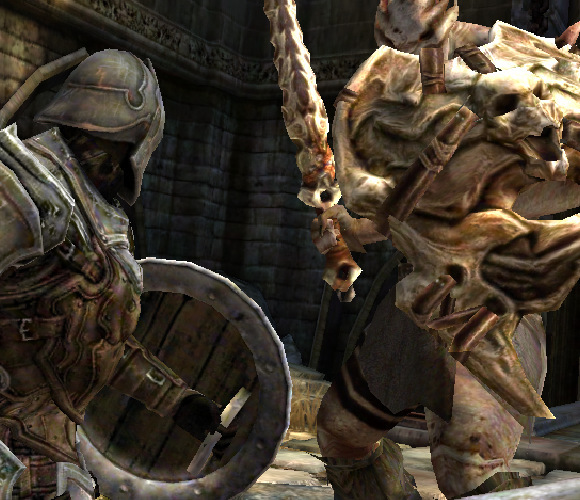 We chose Infinity Blade to show you the graphic difference. The first thing you can notice is the better-looking textures that seem to be far less compressed than the original iPad and the bump-mapping. 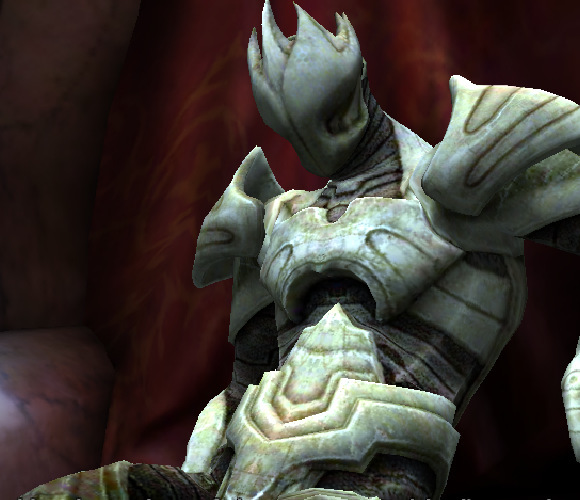 The anti-aliasing is definitely something we were looking for. 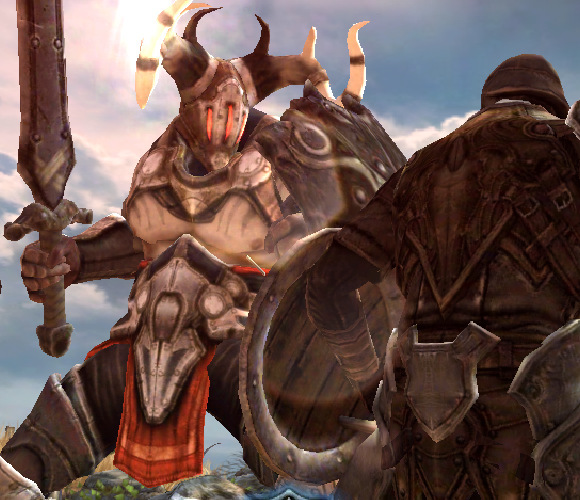 Everything looks better now – environment, buildings, shields, swords and armors. The anti-aliasing is quite heavy task for any GPU and the shots above are an excellent example of the new powers of the superior GPU. Finally, you can also notice the enhanced dynamic lights, which are now rendered possible by the new GPU that’s almost four times better than the first-gen iPad’s.